Click images to see enlarged views. Click to see a historic view. A preservation project, the Winter Quarters Mill Museum and ArtLoft Gallery. Open May 1st through October 31st, 1 to 5 P.M. (with the help of Volunteer Angels) Wednesday through Saturday, and 10 A.M. to 3 P.M. on Sunday. Tours are also available by appointment at other times by calling 402-551-1233. Address: 9102 N. 30th Street. You can get your "Passport" at the Florence Mill. The Passport is a special pass that allows you to get $1 off admission to several area historic attractions from Fort Omaha to Fort Calhoun. See the Passport page for more details and additional locations where you can get the pass. Florence Days will be the first weekend we are open for the summer months. The fun starts Saturday, May 11th - Sunday, 12th, 2019. We do not currently have an upcoming event or exhibit scheduled for 2019. We are getting ready for the entire summer when there will be more events and exhibits. The Connor Meigs Award includes an honorarium, professional mentoring, solo exhibit, invitations/mailings, reception for the artist and studio-tours. It is given to a talented BFA graduate just beginning their art career. 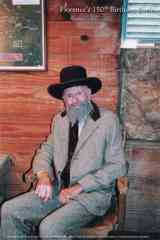 Connor was the son of Linda and John Meigs. He was promised an exhibit in the Florence Mill's ArtLoft when he graduated from KU. Instead, the exhibit of his paintings, drawings, sculptures and editorial cartoons was a retrospective. Connor passed away on December 24, 2004 from injuries sustained in a car accident. Through this award, the mentoring and exhibit promised to him is given to others...in his memory. 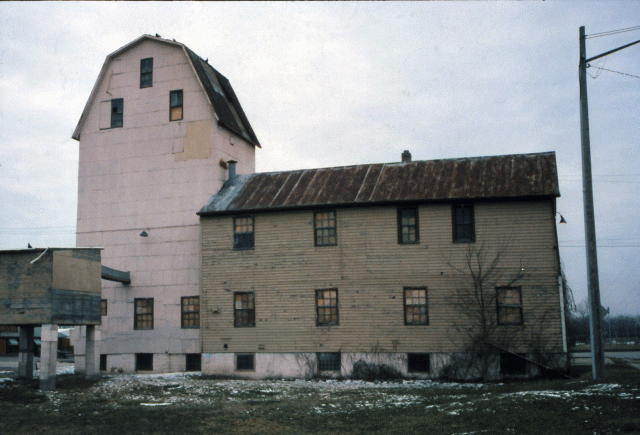 The Florence Mill originated as the 1846 Winter Quarters gristmill, which was built under the supervision of Brigham Young. After the Mormons abandoned Winter Quarters in 1848, the mill was rebuilt by a Gold-Rusher who never made it to California. 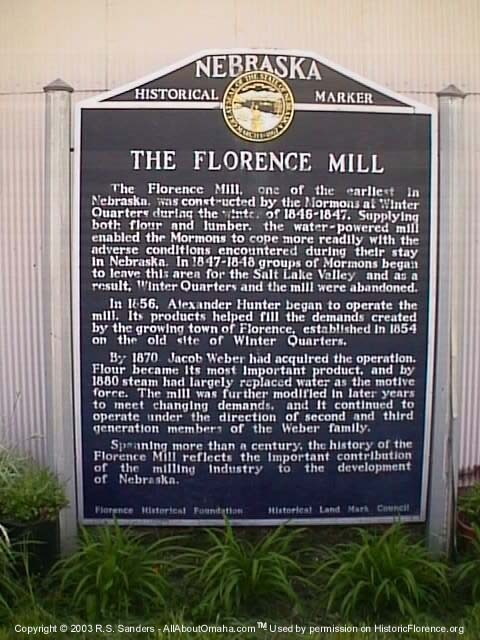 The Florence Mill provided agricultural support for the new town of Florence in Nebraska Territory. It is listed as the Weber Mill on the National Register of Historic Places, in honor of the Weber family's 104 years as millers of Florence. Renovation of the formerly dilapidated building is still ongoing. No longer pink, the Florence Mill remains today because it evolved to fit the times and changing agricultural needs of farmers from the Civil War to the Cold War. The Florence Mill contains the only structural remains from Winter Quarters. Though remodeled, moved and added to, the Florence Mill contains some of the original hand-hewn beams and wooden pegs cut for the 1846 gristmill. The grain elevator, which was added in 1915, continues to use the rope man-lift to reach the upper bins. During the time of the Mormon settlement in the area, they needed a mill to grind corn, wheat, and rye to create cornmeal and flour products. Brigham Young had the mill built to serve those needs. 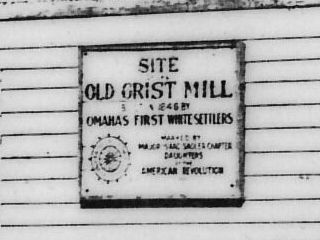 The original mill was constructed next to a creek that flowed into the Missouri River. When the Mormons moved on, usable parts were dismantled and moved on as well. The rest of the structure was eventually deserted. Later on, a new owner of the mill property tore the old structure down and some of the good timbers were used to build a new mill in the area. Surprisingly, that mill still stands, though it is no longer operational as a mill. The mill operated until the 1960s. 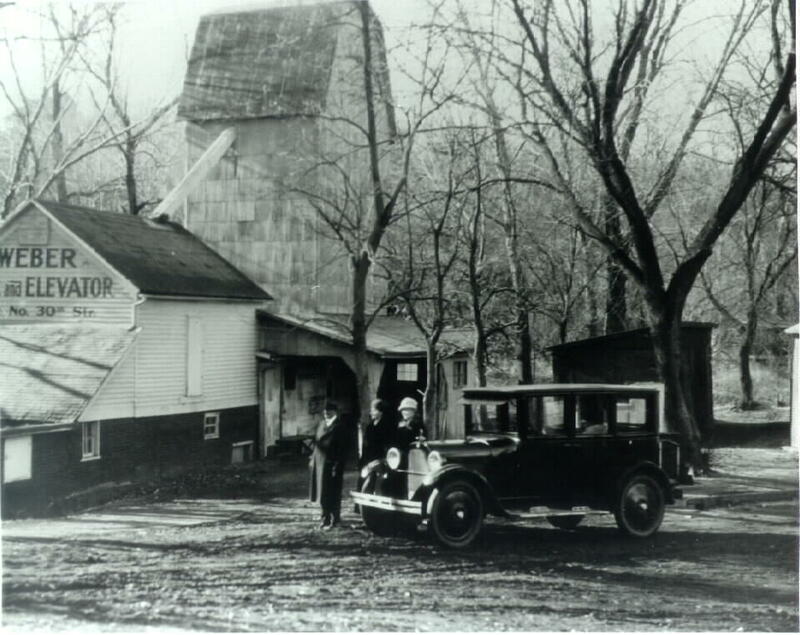 Read more about the Florence Mill during the Mormon era. 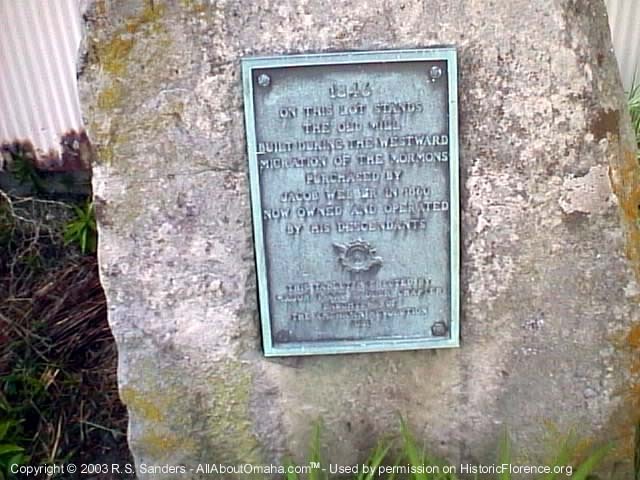 The Florence Mill has two* historic markers. Click on the marker images at the left to see each in detail. You can read the text formatted exactly as it is on the original markers.